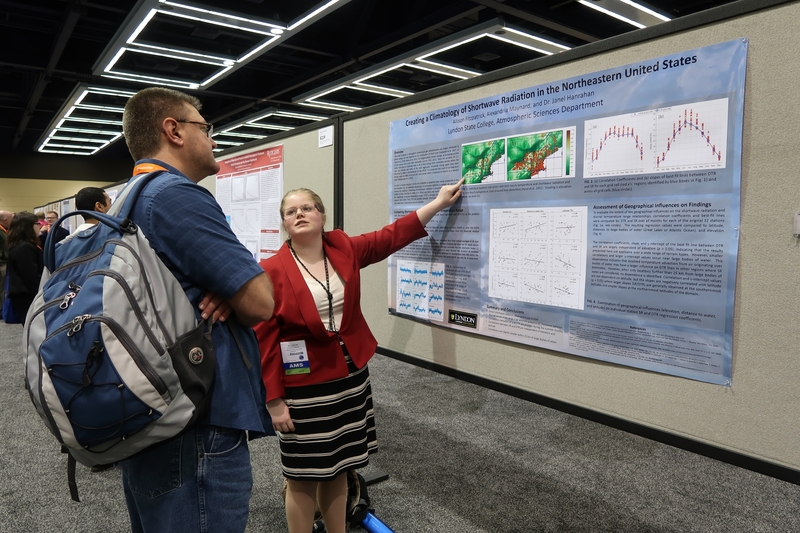 Several Lyndon Atmospheric Sciences students and faculty recently attended the American Meteorological Society Annual Meeting in Seattle, Washington. Some of them presented on research conducted at Lyndon and through external internships. In addition, faculty discussed the integration of informal climate change communication into the ATM curriculum and convened a Town Hall Meeting to encourage widespread communication of the science. Town Hall Meeting: Climate change — How can we make this a national priority?